1642, Wenceslas Hollar, Long View of London. 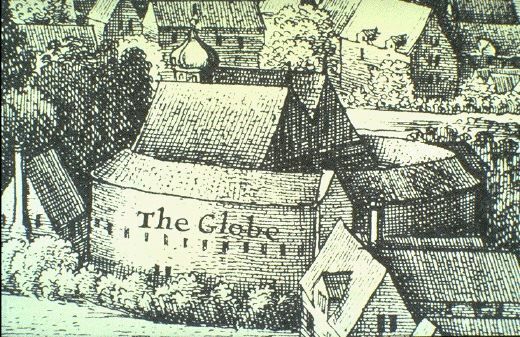 “The Globe” superimposed; originally mislabelled “beere baiting”. Some insist that Shakespeare's works must be seen in performance to be appreciated in full. Shakespeare wrote his plays, they argue, to be acted. Others prefer to savor his language in their own minds' ears and to appreciate the action, the settings, the costumes on the stages of their own imaginations. In either case, learning a little context and background enriches appreciation. In that spirit, the following pages provide information about Shakespeare and the theaters of his time and ours.